The Head of Sinbad (aka Locomotive Point) has two large pictographs high up on the sandstone, and are of Barrier Canyon-style. 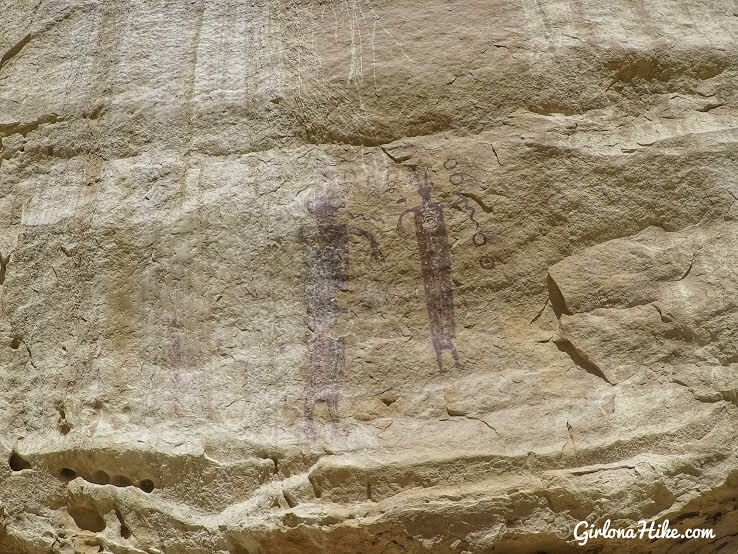 They are also Kachina-type figures - one is holding a snake in its hand and the other has it near its mouth. It appears that their feet are showing movement, perhaps dancing in a ceremony. This panel may be a depiction of a snake dance that is reminiscent of the Hopi Snake Dance, where the members carry handfuls of snakes and even hold them in their mouth. The Hopi believe snakes are their ancestors. 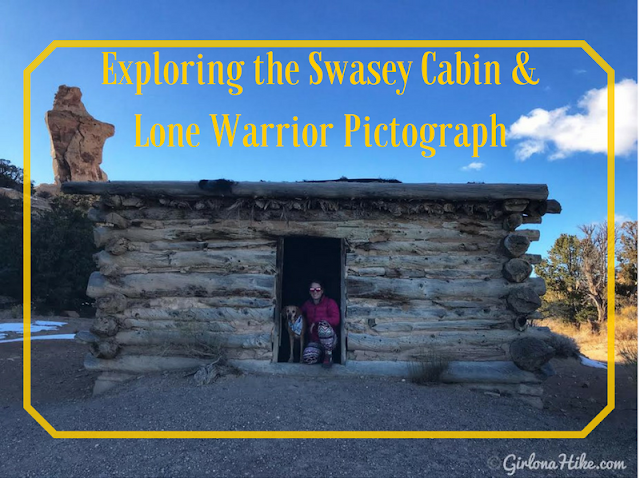 From I-70 take exit 131, drive under the highway, then head East on Temple Mountain Road for 5 miles, then turn right at the sign for "Head of Sinbad". Drive another mile, pass a pond on your right, and you'll reach a "T" - turn right again. You'll come across a "Y" in the road - stay right and follow the road as it passes through a viaduct under I-70. The viaduct has a cement bottom, however it can be extremely sandy or wet depending on recent weather. When we went, there was about 6 inches of pure sand, making it a little difficult to drive through. As soon as you get out of the viaduct, keep right/straight. You'll see another road connect from the left (this takes you over to Dutchman Arch). 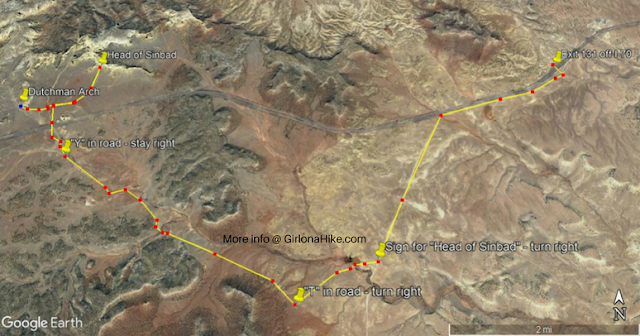 Stay to the right until the road forks again, and you'll see a brown post marked "Trail 644". Turn right here to see the Head of Sinbad pictograph. 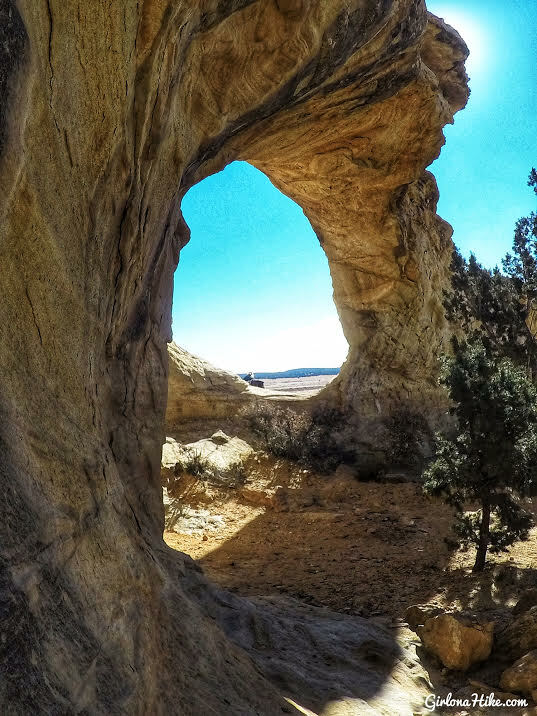 To get over to Dutchman Arch, head back to the road that connected from the left. 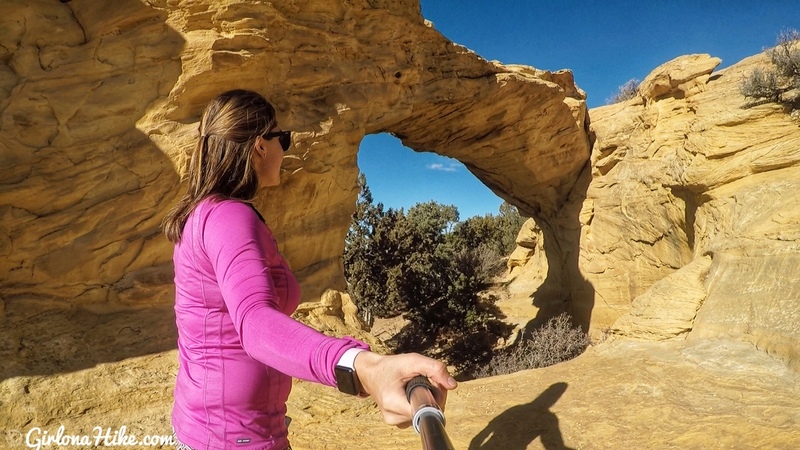 There is no hiking - simply park and walk up to both Dutchman Arch and Head of Sinbad. 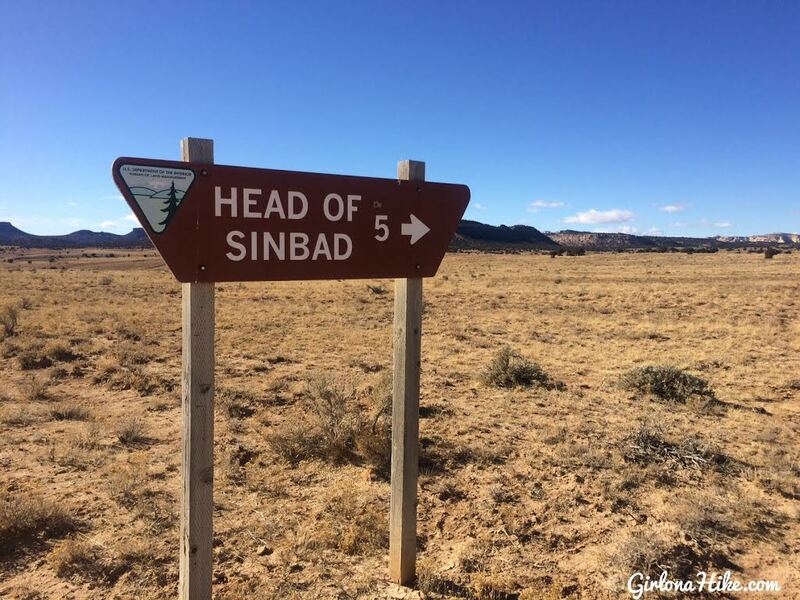 There's only one sign for the Head of Sinbad. 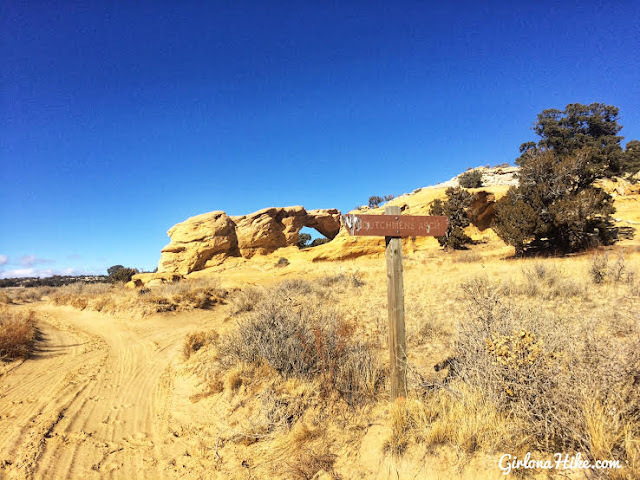 The next signs will be for Dutchman Arch, but no more for Sinbad. Driving through the viaduct eeek! 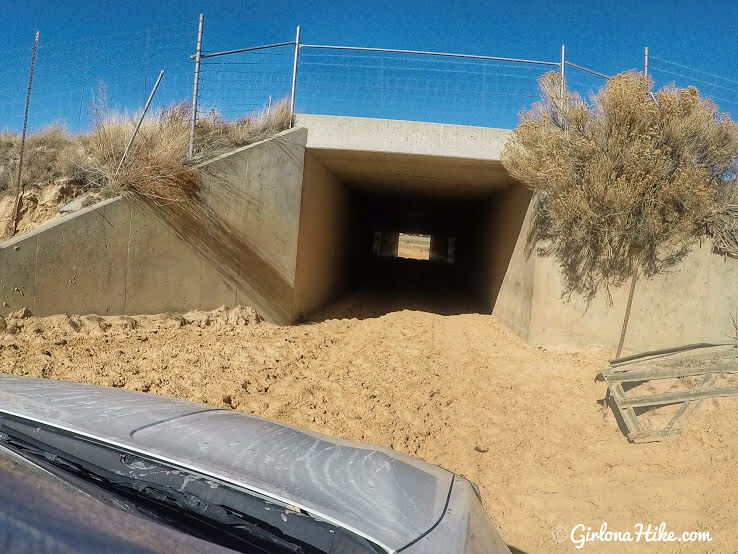 It was a little scary since our car started to slow down and tires spun in the thick sand. Small cars will definitley NOT make it through. Make sure at a minimum you have 2WD. We have a Rogue and it (barely) made it! After you exit the viaduct the road immediatley splits, but the left road was compeletly washed out with 4-5 foot drops, so we had to take the round-a-bout way to get there (which I have described in my directions). 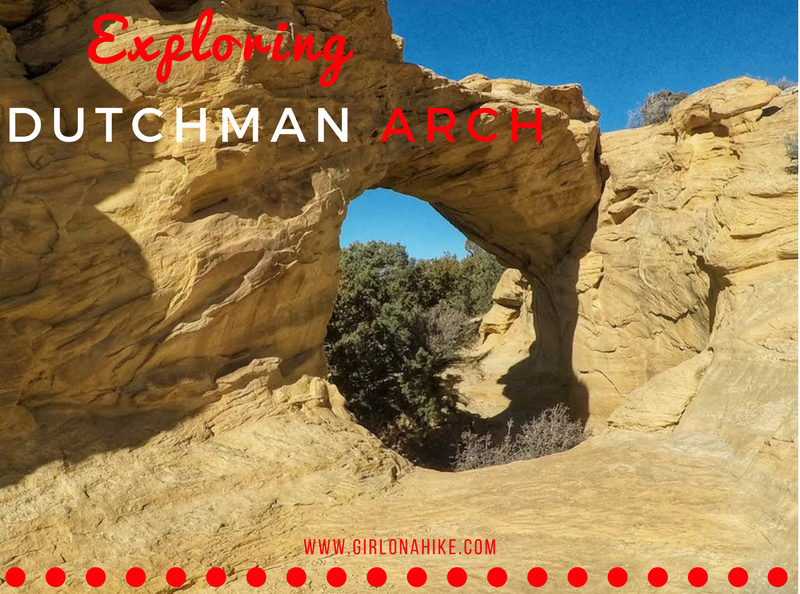 Driving up to Dutchman Arch. 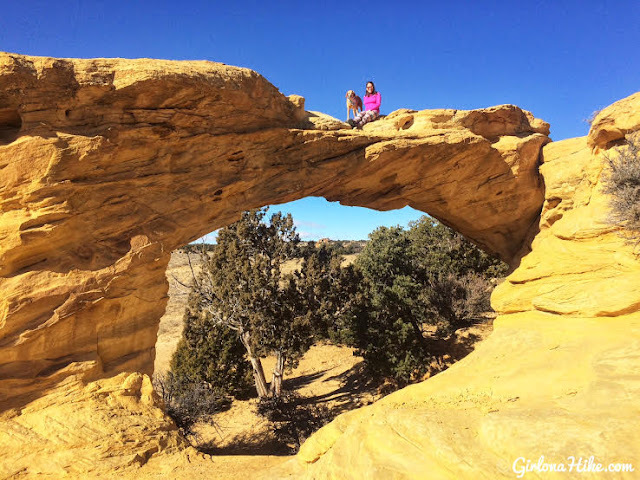 It's hard to tell but the thickness of the top of the arch is about 5-6 feet. 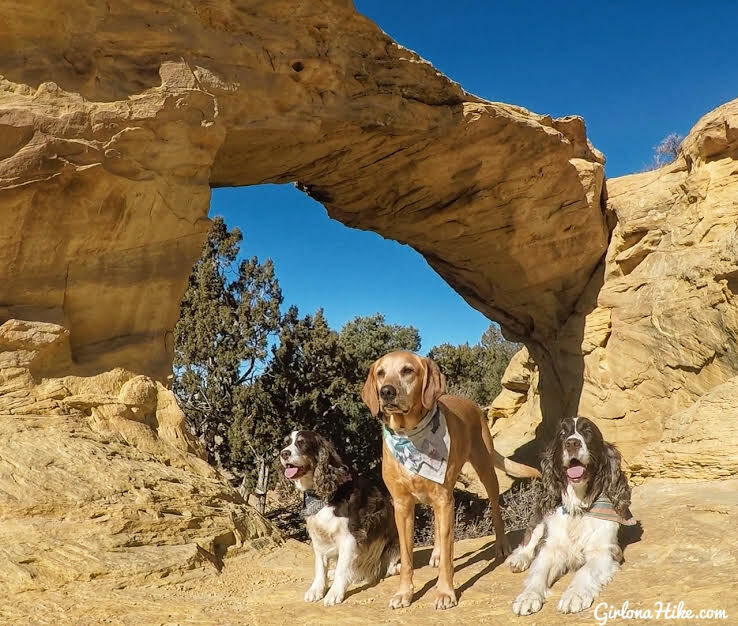 Posing for us dog moms! 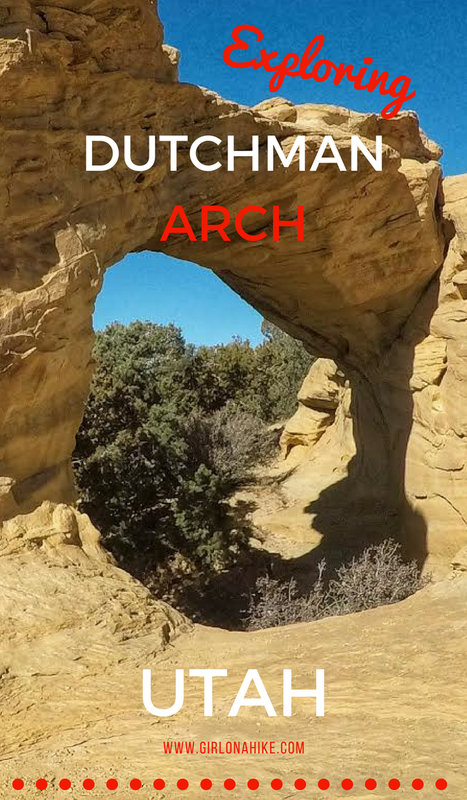 Dutchman Arch from another angle. The road leading to Head of Sinbad is very rutted out, but as long as we stayed high on the right side (super tilted as you can see), we made it. Towards the very end of the road it drops about 3 feet into a ditch, so it's actually easier to drive up on the right side where you can see the faint tire tracks. 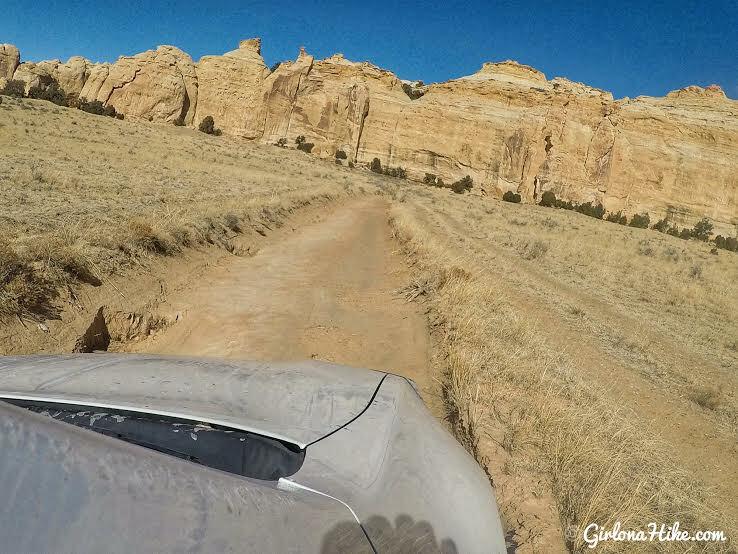 If your car can't make it very far, you can also park at the turn off and just hike the rest of the way. 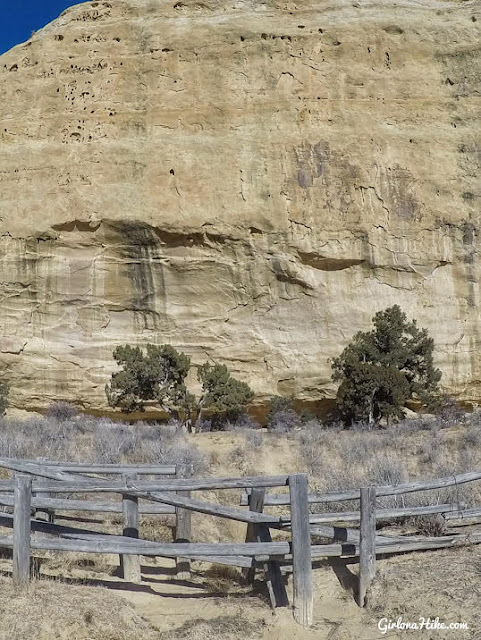 The road ends in a loop, and all you need to do is walk through the fence then look for the images. Surprisingly, both images are quite high up the rock. 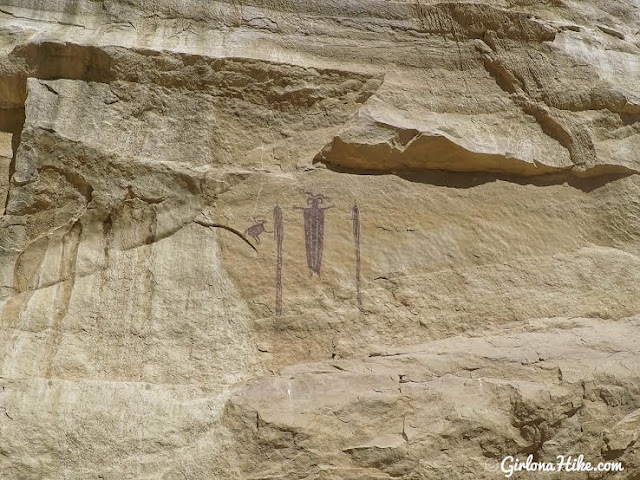 I was amazed at how dark these pictographs were compared to it's neighbor, The Lone Warrior. No trail map - just drive and see. Share me with a friend on Pinterest!